I Have Run: Washing my hair can be exhausting. Sometimes the thought of washing my hair is exhausting. Not that the actual washing is that tiring. But the drying and styling just takes so much work. Yesterday was one of those times. Pretty much everything seemed extra exhausting. I looked at the display on the elliptical at least a dozen times to see how close I was getting to that 40 minute mark. And when I went to make my post-workout snack, (my new favorite: plain yogurt, red grapes, maple syrup and vanilla) it just felt like too much work. So I evaluated how hungry I felt and decided to wait until lunch to eat...two hours later. 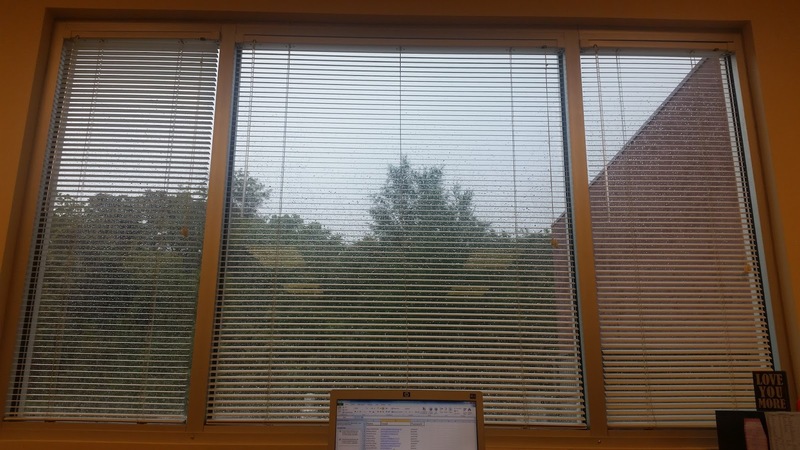 Yesterday was a reminder that it doesn't matter whether I'm running or doing other types of exercise, sometimes my body is just tired and some days are going to be tougher physically than others. It was also a good reminder that I need to make sure I get enough sleep. This is something I really need to work on. My workouts seem harder and I crave sweets waaaayyyy more on the days when I didn't get enough sleep the night before. To help my ellipticizing go a little faster, I read my Runner's World. 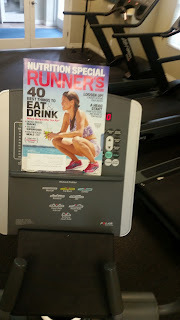 I figure if I'm not running, at least I can read about it. And I'll admit, I got butterflies when I was thinking about my upcoming 10 minute run this morning! 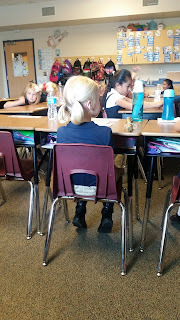 My Ellie Bean sitting so quietly and attentively while her classmate gave his oral report. The view from my desk at the school, especially when it's raining (this picture doesn't do it justice). Went for my first 10 minute run today! Felt AMAZING! Hoping that my foot still feels good tomorrow too so I can keep building up (going to try to follow the plan you linked to in my last comment). After my short run a couple of weeks ago, my foot got a bit sore so I decide to wait 2 more weeks. Hope 8 weeks is the magic point! 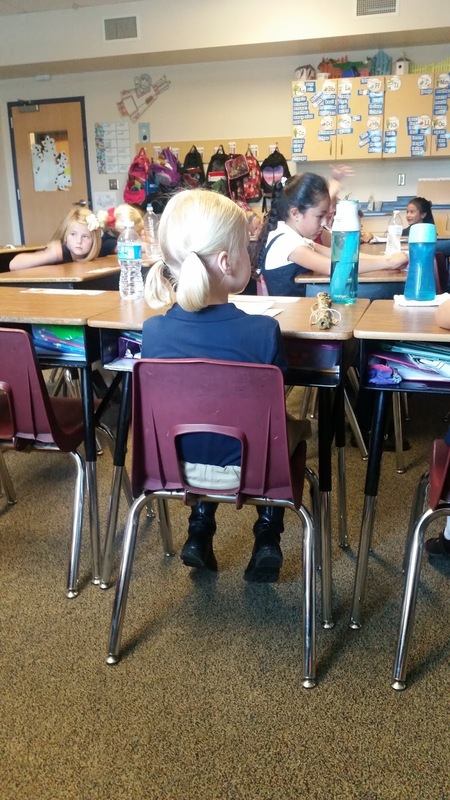 Those are the cutest little pigtails I ever did see.